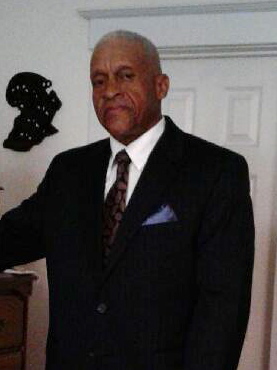 Obituary for Mr. George Holland III | C. C. Carter Funeral Home, Inc.
Mr. George Holland III, 69, AKA Sonny-boy, departed this life on January 21, 2019, at Sentara Norfolk General Hospital after a short illness. Sunny-boy was born in Newport News, Virginia, on December 14, 1949, to the late George and Dorothy Holland Jr. He was preceded in death by his parents and two sisters, Edith Moss and Delores Lawrence. He was the middle child of five siblings. George was educated in the Newport News Public School system. His name was placed on the roll of the United House of Prayer for All People as an infant, where he remained as a member until his death. He was employed as a School Bus Assistant Mechanic, a Handyman and of course, an Auto Detailer, to name a few occupations. He really took pride in his job as an Auto Detailer, and was very good at it, because he loved it. In his occupation as an Auto Detailer, Sonny-boy met a lot of people that became very good friends through the years. Sonny-boy was a loving husband, father and brother. He touched the lives of many for the time that God allowed him to be with us. He was a humble and free hearted person, that would do whatever he could to help you. Sonny-boy was full of life and he kept you laughing. He also loved listening to music. Sonny-boy was a sharp dresser too. Whenever you saw him he was very well dressed, even when he was working. Clothes were his thing! Sonny leaves to cherish his memories: his loving wife Lisa Holland; son, Jermaine Jones (LaFonza); sister, Denise Holland; brother, Donald Holland (Robin) of Hopkinsville, KY; and a host of relatives and friends. Services for Mr. Holland will be held 11:00a.m. Monday, Janaury 28, 2019 at United House of Prayer 1811 Ivy Ave. Newport News, VA.
Vieiwng for Mr. Holland will be held noon- 4:00p.m. Sunday, January 27, 2019 at C.C.Carter Funeral Home, Inc. It is the desire of the Holland family that you keep them in your thoughts and prayers. The family of the late Mr.George Holland III has entrusted his final care to the staff at C.C. Carter Funeral Home, Inc.